OTTAWA — The Conservative government won't say how many of its political staff earn more than $100,000 but it has no problem revealing how many bureaucrats bring home six-figure salaries. Ten per cent of the federal workforce, 23,585 full-time permanent employees earned more than $100,000 a year, the government said in documents tabled in the House of Commons this week. Slightly more than one per cent, 1.2 per cent, of employees earn more than $150,000 a year. Approximately half of those individuals are judges and senior public servants appointed by cabinet to head various government departments, agencies and arms-length corporations. The report was tabled the same day Tony Clement, the president of the Treasury Board, refused to tell the House of Commons how many political staff in the Prime Minister’s Office and cabinet ministers' offices earn six-figure salaries. Clement pointed interested parties to a website which provides a pay scale for employees. “Under the Access to Information Act and the Privacy Act, the names and exact salaries of personnel cannot be released,” Clement said on Monday. Both acts, however, do not prevent the release of the number of political operatives who are paid more than $100,000. 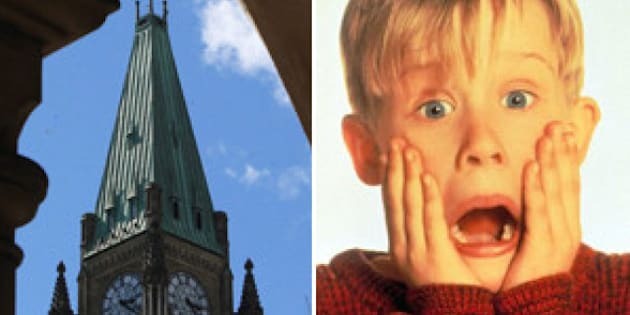 The federal government had no difficulty telling Parliamentarians that 1,894 employees at the Canada Revenue Agency earn more than $100,000 a year, or that 128 individuals at the Department of Foreign Affairs and International Trade, 248 individuals at Justice Canada and 1,105 individuals at the Office of the Commissioner for Federal Judicial Affairs earn salaries of more than $150,000. The law also didn’t prevent Heritage Minister James Moore from revealing that approximately 730 employees at the CBC earn more $100,000 a year. Moore declined, however, to provide the exact salaries for CBC personalities Peter Mansbridge, Rick Mercer and George Stroumboulopoulos. “Their names and precise salaries are protected as per the federal Privacy Act and Access to Information Act,” Moore said. Most full-time employees in the federal public service earn less than $75,000 a year, the government’s data suggests. Sixty-three per cent, or 147,775 employees, made less than that amount and slightly less than 1 per cent, 1,676 employees, earned less than $40,000. How Much Do Our MPs Make?